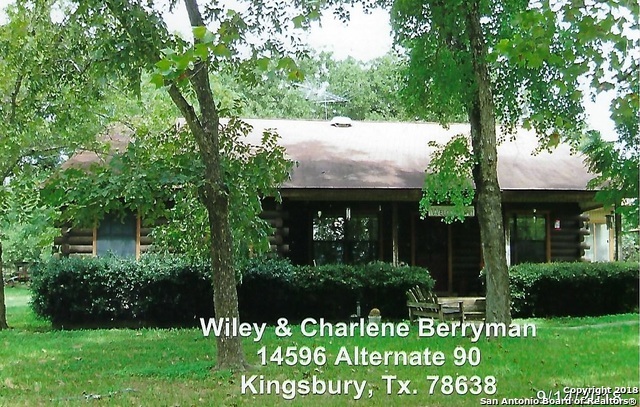 All Kingsbury homes currently listed for sale in Kingsbury as of 04/22/2019 are shown below. You can change the search criteria at any time by pressing the 'Change Search' button below. If you have any questions or you would like more information about any Kingsbury homes for sale or other Kingsbury real estate, please contact us and one of our knowledgeable Kingsbury REALTORS® would be pleased to assist you. "VERY DESIRABLE COUNTRY LIVING on 15.819+- acres w/2 Br., 2 Bath LOG HOME w/Office upstairs, Large eat-in kitchen & dining w/island, cook-top, built-in oven, screened-in porch off large back living room, EXTRA 1 Br., 1 Bath GUEST HOUSE built in 1995, 2-car detached garage and/or workshop w/sink, commode & telephone, 1-car carport, storage bldgs, chicken yard w/elec., water well, Ag exemption. ENJOY the nice front porch in the evenings after a hard day of work." "Nice property with endless opportunities. 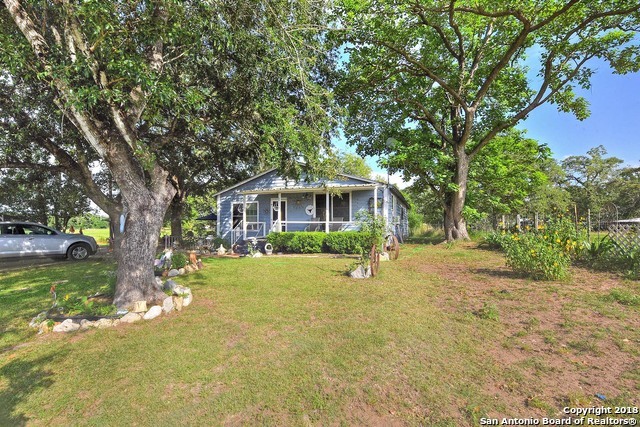 Three bedroom/2 bath home on 4.57 acres in the hill country. Home also has a laundry room and 2 halls; one hall could be used for a favorite hobby. Master bedroom with private bathroom and shower. Red shed on property can be used as a guest house! NO RESTRICTIONS, CAN BE COMMERCIAL!"